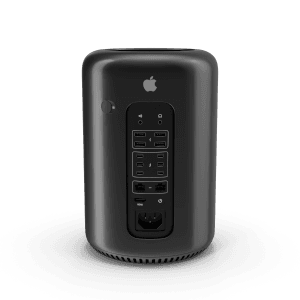 Get a Mac Pro online today! With our dedicated Mac Pro server packages you manage all of the software while the engineers at Mac Mini Vault maintain the networking and hardware. All of our Dedicated Mac Pro servers are connected to the network at 1Gbps. There are no long term commitments, and you can cancel any time. Dedicated Server – MacMiniVault.com owns the hardware and you are simply renting the hardware on a monthly basis. MacMiniVault.com pays for all the hardware repairs and you are never charged for repairs. We have 2013 and newer model Mac Pros in stock. Colocation – The customer owns the hardware and is responsible for any hardware failures. Do you already own a Mac Pro? Consider our Mac Pro Colocation service. All of our Dedicated Mac Pro servers are connected to the Internet at 1Gbps. As long as you are not violating our terms of service and acceptable use policy you will enjoy all the bandwidth you can use. All of our Dedicated Mac Pro servers are provisioned within 24-48 hours during business days. Once your Mac Pro is provisioned in the datacenter, the hosting instructions will be sent to the email address you provided during the sign up process. You responsible for backing up the data on any Mac Pro server. You will have full root / administrator access to your Pro and once you change the password MacMiniVault.com engineers will not have access to your Pro. We offer two different external drive options (2TB or 4TB) so that you can perform time machine backups or clone your drive. If your Pro ever fails, our engineers can restore from your external drive backup. How many IP addresses does each Pro get assigned? Every Dedicated Mac Pro receives a /29 IPv4 Block (5 usable IP addresses). Additional IPv4 addresses can be added on to your hosting account. If you would like an IPv6 allocation free of charge, open a support ticket or send an email support@macminivault.com.